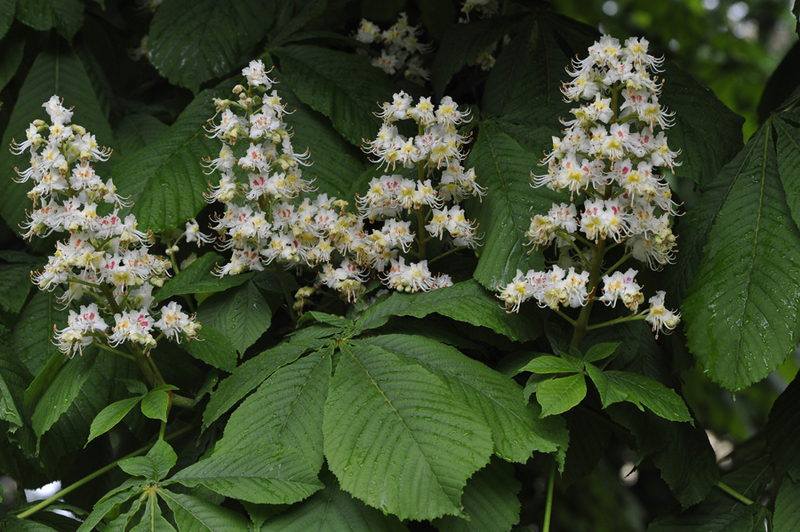 The lavishly blossoming Horse-chestnut was a popular tree in Finland even back in the 1830s, when it was popular to plant southern species in gardens. Its straight, white, candle-shaped blossoms can reach up to 30 cm in length. Its palmate leaves are very large, and the tree provides ample shade. It drops great quantities of its spiky fruits, which startle drivers and cyclists. 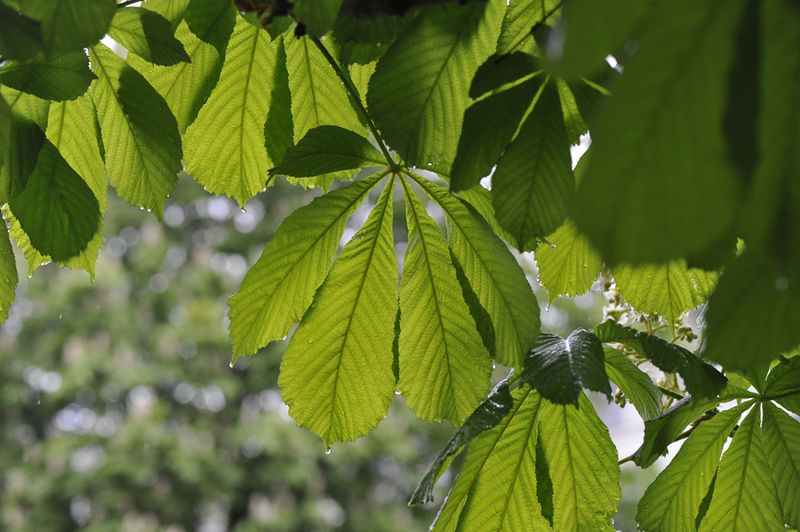 The Horse-chestnut is native to the Balkans. In the Finnish climate, it is fairly short-lived and not very hardy. It has always been planted as a special tree. The oldest Horse-chestnut trees still growing in the city were planted in the early 20th century. In recent years, the species has been affected by new diseases and pests, which may threaten its use as a tree in parks here as well. 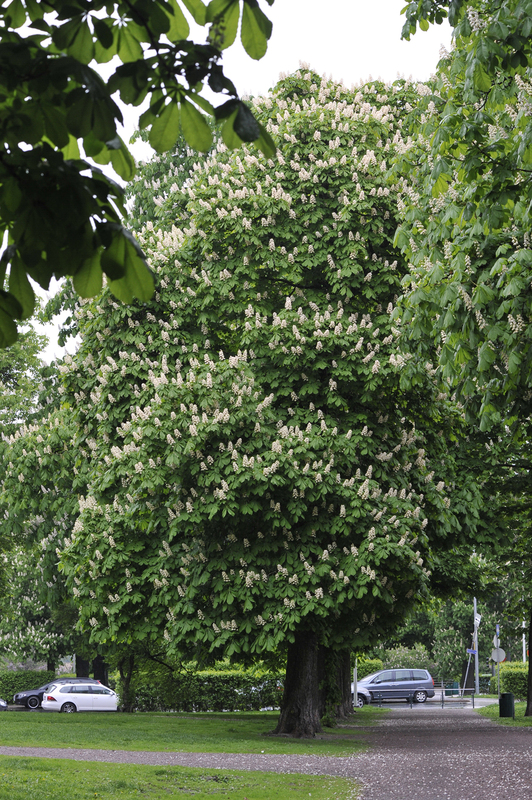 Helsinki's best-known Horse-chestnut trees grow on the Hesperia esplanade. There are also handsome Horse-chestnuts on the Theatre Esplanade, Tokoinranta and in Katri Vala Park.